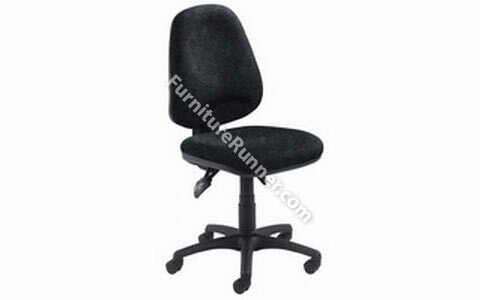 The Arista Maxi tilt operator chair with 5 star base, back & seat tilt and gas lift. Maximum usage time 8 hours & maximum sitter weight 18 stone. Dimensions: seat W520 x D490mm, back W490 x H600mm, seat height 500 - 630mm.